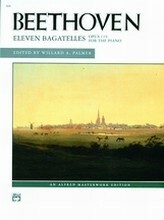 Composer: Beethoven, Ludwig Van ,Palmer, Willard A. Composer: Diabelli, A. ,Palmer, Willard A.
Podolsky, L., Davison, J. & Schaub, A.